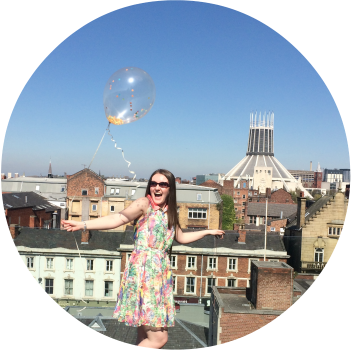 This past bank holiday weekend was absolutely jam packed with things to do so I thought I’d do a bit of a round up for you all. 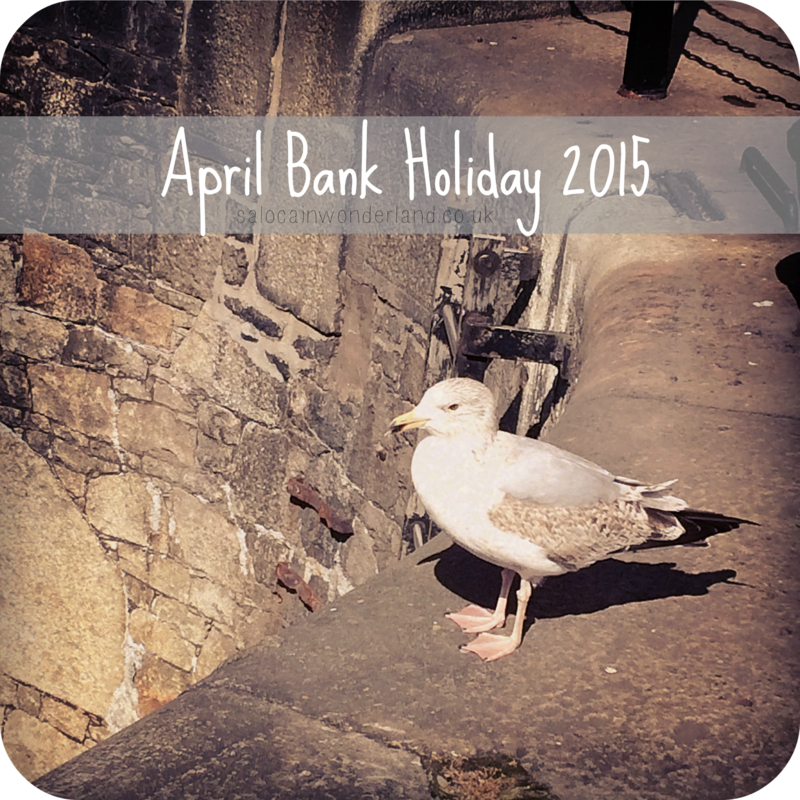 From electric blue cider to pancakes and some dockside seagull watching, here’s my April Bank Holiday weekend! A bunch of us planned on going to the Waterloo Beer Festival, so we started the day by lining our stomachs with full english breakfasts at Leaf on Bold Street. I could seriously live in that place if they’d let me. I washed it all down with a rooibos tea and got ready to get my beer on. For the record, I don’t actually drink beer. But they have cider and gin too. Happy days! We hopped a train to Waterloo and then it was a 10 minute walk in the wind and rain to the church. Yup. 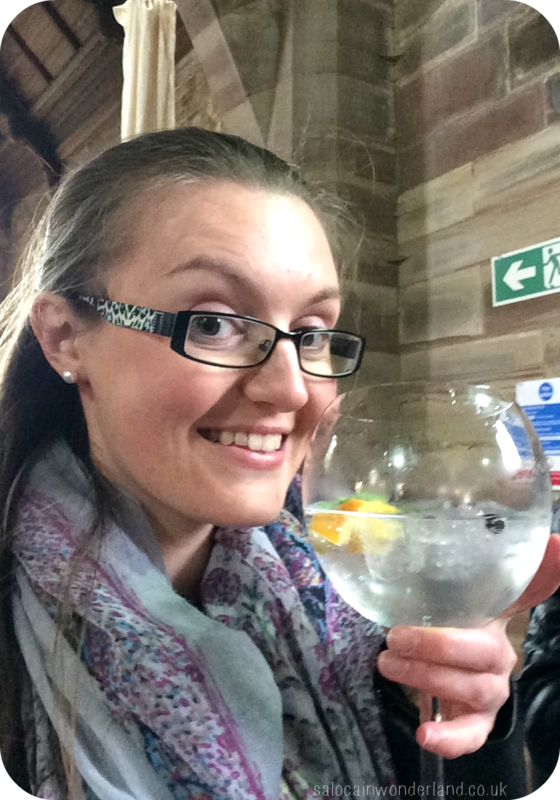 A beer festival in a church! I’ve been once before and the church was freezing so I wrapped myself up in a few more layers this time but I think they must have heard my chattering teeth as they’d put the heat lamps on this time - win! We got in, grabbed our half pint glasses and drink tokens and got drinking! My first drink was a bright blue blueberry cider. I won’t lie, I only got it for the colour but it tasted pretty good - I didn’t notice it was 7.5%….oops. The Liverpool Cheese Company, Liverpool Nut Company, and Liverpool Cupcake Company were out in force ready to feed us, so of course, we picked up a few goodies to pair with our real ales and ciders! Bacon. Stop, read this slowly…bacon cupcakes! They were amazing. Bacon, maple and pecan, lovely non-sickly frosting and really spongy and moist cakes! I also scoffed half a black forest cupcake and it was divine! Onto the cheeses, Mr picked these up and when I asked him what was what…he didn’t know! I really need to blog-train him a bit better! After much sampling we all came to the conclusion they were; strawberry cheese-cake-ish cheese, smoked apple and something fruity. The smoked apple was by far the tastiest! I didn't get a shot of the nuts but we had some delicious sweet chilli cashews that I wish I had gone back and bought more of to take home! More food. More cider. A cheeky Liverpool Gin. Lots of laughs. Great times! Finished the night with pizza and friends back home! I’d stopped drinking after the festival yesterday as I knew I needed to be at least semi-functional for the North West Bloggers Coffee Catch Up that my lovely Jackie had organised. We met up at Leaf on Bold Street - twice in one weekend = win! I was so excited to meet up with some of my favourite blogging lovelies; Beth, Laura and Helena! It’s been too long since we all last met up! After much catching up and will we - won’t we order cake, of course we ordered the cake. Well, I got pancakes, but that’s pretty similar. More chatting, laughing, catching up and planning the future of North West Bloggers. We took a walk in the sunshine, stopped off at Starbucks and got a behind the scenes look at Beth taking these OOTD pictures - insert crazy taxi drivers and more giggles here. Had a brilliant afternoon catching up with everyone and I can’t wait for the next one! Not every meet up has to be dozens of people in a big room with brands and business cards, just being able to get together and talk with like minded ladies who are as passionate as I am about blogging was brilliant! Took it easier today but with the sun unusually shining, Mr and I took advantage of the decent weather and took a walk down to the Albert Dock. I love how close we live to the Mersey, having something so picturesque and beautiful on your doorstep just never gets old for us! It was still pretty early so we felt like we had the place to ourselves, it was blissful. Then we saw the seagulls. I don’t know if you know this, but Mr and I have a thing about seagulls, we could seriously watch them all day long. They’re ridiculously entertaining! What caught my eye this time was one flying up about 2ft, then dropping mussels, attempting to smash it’s way inside for it’s lunch. I never knew they did this! I was amazed. Possibly, too easily amused too! Bacon cupcake. I'm dead. Haha. I'm jealous of your fun weekend! OH the bacon cupcakes, I could eat them all day everyday they were so good! You havn't lost your mind just yet, it is indeed a shiny new header :) I'm in love with it!